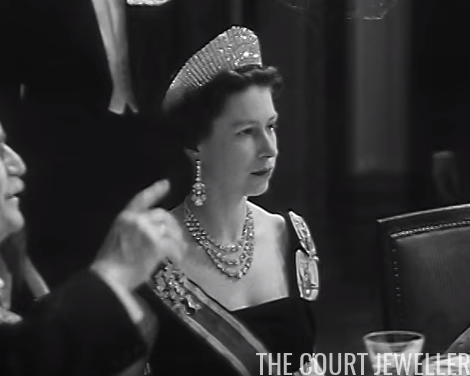 Queen Elizabeth II of the United Kingdom's 1958 state visit to the Netherlands has been in conversation lately because of a rare appearance from the Cullinan III and IV Brooch. (Read more about that over here!) Today, I've got a glittering survey of some of the grandest jewels worn at the gala events during that state visit -- in motion!